SEO is the driving force behind the success of any website. 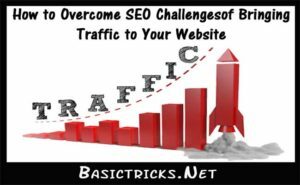 Employing it has become necessary to bring traffic to your website because the vast majority of people use search engines like Google or Bing to find what they need online. With almost every website using some form of SEO, the challenges to produce effective optimization have grown greatly. Below are a few useful guidelines that can help you achieve desired high ranking with search engines. SEO is the culmination of different aspects coming together to bring the maximum traffic to your website. You have web designers and developers who need to produce a high-quality website that can attract visitors. Similarly, the content teamwork to achieve a similar goal but with fresh and compelling content. Then you have the marketing team that highlights the website in different mediums such as Facebook and Twitter. All these separate teams must be united by a common keyword strategy. Otherwise, it will lead to a disjointed effort that produces far from satisfactory results. Google is such a giant in the search engine industry that the term “Google it” is commonly used to describe searching something online. That is why any SEO effort will be pointless if it does not produce results with Google. It has been a continuous process of evolution for Google to come up with updates that lower the search ranks of low-quality websites and counter efforts to find loopholes in their system. Updates such as Penguin (2012) and Humming Bird (2013) are aimed to achieve these goals. That is why it is best to have a clear understanding of Google’s current algorithm in order to yield maximum results with your SEO. Any attempt to perform SEO can prove useless if you do not have the right hosting services for your website. Slow loading times of the website causes a drop in your search rankings. Having a host that doesn’t match your requirements in terms of traffic can lead to such issues. The main goal of SEO is successful monetization of your website. If your hosting services are increasing your costs then it is a detriment to that goal. For instance, iPage is a good hosting service with low initial costs but it does have its drawbacks. Common iPage complaints include high renewal costs that create problems in the long run. In recent Google updates, it has become much harder to utilize backlinks for attracting visitors to your website. That being said, with the correct practices, it is still achievable. The straightforward answer is to have high-quality content on your website. This will organically create backlinks to your website as many other websites will willingly collaborate with you. This method is endorsed by Google so you will stay out of trouble as well. Apart from this, guest posting your content is a great way to develop your presence on other websites. In the smartphone age, the majority of our online searches are conducted via mobile phones. That is why it is very important that your website is optimized to load quickly on mobile phones. Not only does it need to load quickly but it has to load correctly as well. Failure to do so can hinder your SEO process. Address any compatibility issue your website may have with mobile phones through extensive testing. A common issue is the page size is not according to the mobile screen size. It is therefore wise to take the necessary action to rectify any flaws with the mobile version of the website.